They can’t all be legendary. The Super Bowl is the country’s most-watched television event every year, but sometimes it’s barely worth tuning in for a quarter. A lot of factors can contribute to making a boring Super Bowl. Dull quarterback matchups, sloppy play, and lame commercials are a few. Even the halftime show can make or break the game’s watchability — at least if it’s a total blowout by that point. Sure, the first Super Bowl — known then as the AFL-NFL World Championship Game — is iconic, but the game itself was pretty miserable. Los Angeles Memorial Coliseum was only two-thirds full, but another 51 million watching at home made the game a spectacle. This one was just brutal unless you were a Cowboys fan. The 1972 matchup marked the only time to date that one team was held without a touchdown in the big game — and that was just one of the many Super Bowl records set by Dallas in this game. This one also loses points for being the coldest Super Bowl ever played, with a temperature of 39 at kickoff. This beating must have ignited something in the Miami Dolphins, however, as they would go on to win 18-straight games and the next two Super Bowls. It’s sad when the most memorable part of any Super Bowl happened during a commercial break. The 1984 Super Bowl broadcast on CBS included an epic advertisement from Apple , introducing its Macintosh personal computer. The commercial has since been recognized as one of the all-time best. The game itself was another story. This was the most lopsided Super Bowl of its day and marked the AFC’s last champion for 14 years. The Raiders made Las Vegas handicappers look silly, as they entered the game a 3-point underdog. The Redskins came in with a 14-2 record and 541 total points during the season. This one was expected to be a blowout and it more than lived up to that prediction. 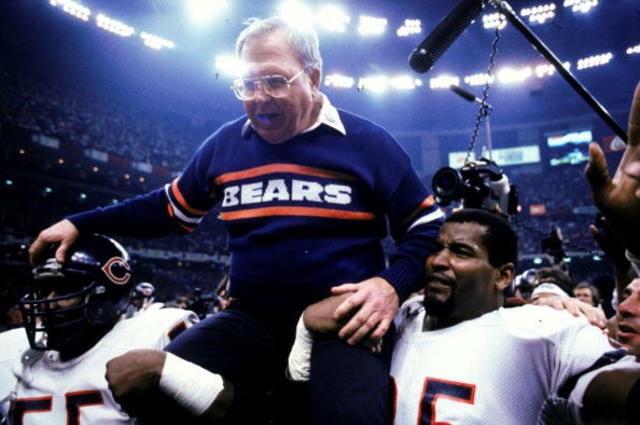 The 1985 Bears still stand as arguably the best defense in NFL history, thanks in part to defensive coordinator Buddy Ryan’s scheming. The Bears’ defense had seven sacks, allowed only seven rushing yards the entire game and forced six turnovers. Watching Jim McMahon do the “Super Bowl Shuffle” was more fun than sitting through this game. The strike-shortened 1987-88 NFL season was already a disappointment for football fans but this one-sided Super Bowl was a lousy capper. The Redskins scored a record 35 points in the second quarter, meanwhile, the Broncos didn’t tally a point after the first quarter. In total, the Redskins’ offense would set eight Super Bowl records in the game. Only five future Hall of Famers played in this game — a low number for Super Bowls — but Washington’s Doug Williams does have the distinction of being the first African-American starting quarterback to win a Super Bowl. Much of America was tired of the 49ers by the time the franchise won its fourth Super Bowl in decisive fashion. The game’s 45-point differential remains the widest margin of victory in Super Bowl history. Led by quarterback Joe Montana, who completed more than 75 percent of his passes, the 49ers would score two touchdowns in each quarter. The 1980s were a bad decade for compelling Super Bowls and this one didn’t start the new decade with much hope for closer games. In case you’re wondering, the halftime show was a salute to the comic strip “Peanuts,” which was celebrating its 40th anniversary. Good grief. O.J. Simpson tossed the coin to start the 1993 Super Bowl and it was all downhill from there. This was a sloppy game from the Bills who, despite six future Hall of Famers on its roster, turned the ball over nine times. If not for a careless fumble en route to a sure touchdown, the Cowboys would have scored again and set the record for the most lopsided Super Bowl in history. 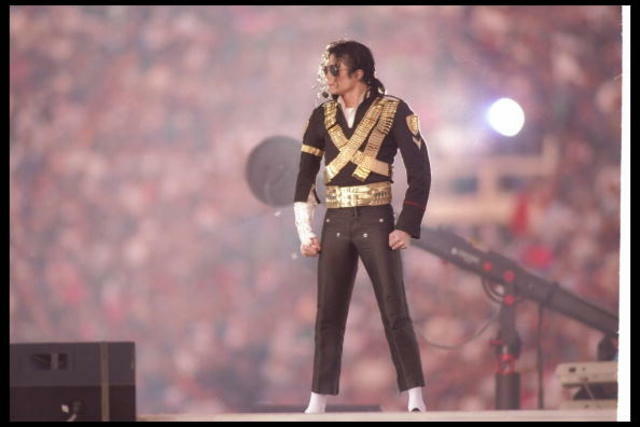 The best part of this game was Michael Jackson’s halftime performance, which established the modern precedent for getting big-name performers to play the Super Bowl stage. For fans of old-school defense-first football, this game was a dream but for the rest of America, it was a snoozefest. The Giants’ offense didn’t score a touchdown the entire game, with a kickoff return netting the team’s only score. Every time the Giants had the ball they ended up either punting or throwing an interception to the stout Ravens’ defense. The game’s uninspiring starting quarterback matchup between Trent Dilfer and Kerry Collins resulted in 219 total passing yards. Looking back, the game’s entertainment should have told us the game would be awful. Backstreet Boys sang the national anthem while the halftime show featured a hodgepodge of performers including *NSYNC, Britney Spears, Nelly and Aerosmith. It’s probably a good thing pot was legalized in Colorado before this game was played because Broncos fans may have needed something to take the edge off. The 2014 Super Bowl marked the big game’s largest margin of defeat in 21 years — longer than some players in this game had been alive. Coming in, the Broncos were favored by two points but the Seahawks led by 36 points before Denver scored. As a team, Denver fell to 2-5 in Super Bowl appearances. At least Bruno Mars’ halftime show rocked! Further proof that when the Broncos are involved in a Super Bowl, it will probably be an atrocious game. This was mostly a close game but that didn't make it any less boring. Punts, fumbles and interceptions ruled the night, with about 500 total yards of offense gained by both teams combined. In his final NFL game, Peyton Manning looked very average, throwing for 141 yards with two turnovers. But Super Bowl 50 will always be remembered as the night he rode into the sunset ... and used his final post-game interview to promote Budweiser .